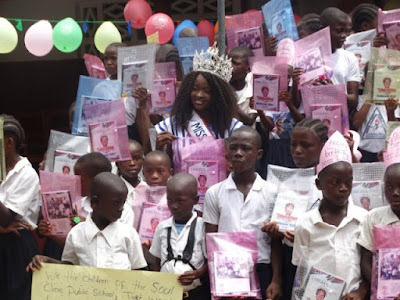 On March 31, 2017, Wokie Dolo (Miss Liberia) celebrated her 25th birthday with students of the Soul Clinic Public School in Paynesville, Montserrado County, Liberia. The occasion was attended by residents, students, teaching staff and administration. 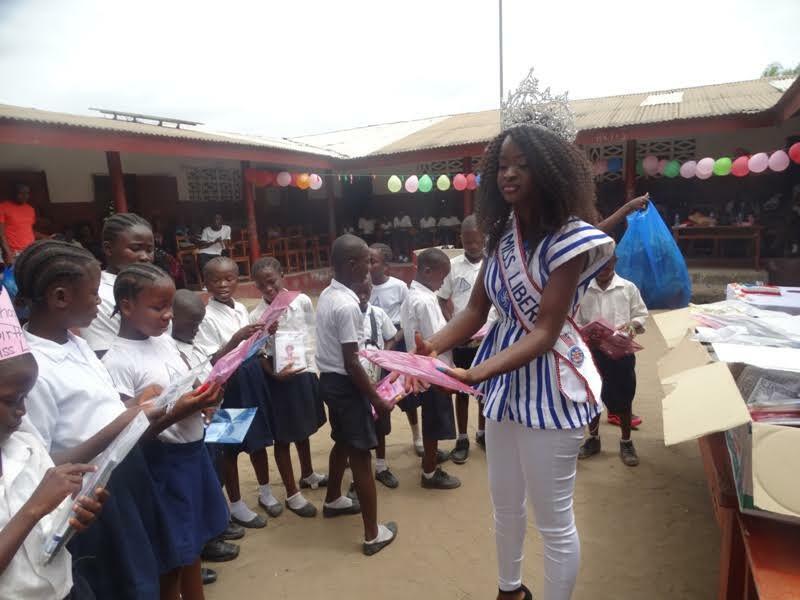 Wokie presented educational materials to the students. 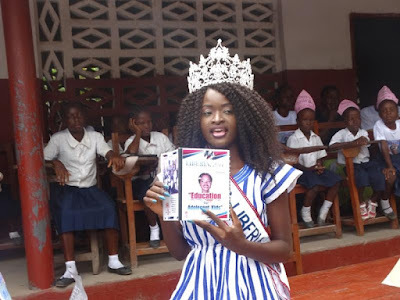 She urged students to be more serious in their lesson if they are to become respected future leaders, stating “Any of you here today can be Miss Liberia like me or President like our President Ellen Johnson or member of the House of Representative and Senator, provided you are serious in your lesson." She applauded Nobel Liberia, an institution she serves as its New Brand Ambassador, for their level of support. Principal of the school, Mohammed Kromah praised Ms. Dolo for selecting his school to celebrate her birth, stressing, “The presence of Miss Liberia on our campus is an opportunity for our students many of whom who never saw the Liberian Queen to see her; I am overwhelmed for this opportunities." 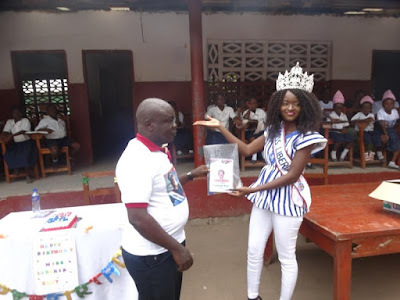 Following the presentation of educational materials including copybooks pens and pencils to the students, the Liberian Queen also gave to the students food for their mini lunch after the program. The parents were impressed and spoke highly of the beauty Queen.